If you regularly store lots of large video files, movies, music, programs and more on portable storage devices, you don't want to have to worry about limited space. This portable hard drive offers expansive storage and security features that help ensure your data stays safe, even when you travel. Ultra-compact design for easy portability. Data transfer rates of up to 5Gbps with USB 3.0 and up to 480 Gbps with USB 2.0. Compatible with Windows® XP, Windows Vista®, Windows® 7 and Windows® 8. Requires reformatting for Mac OS X.
WD SmartWare Pro software for automatic backup. Password protection and hardware encryption for security. 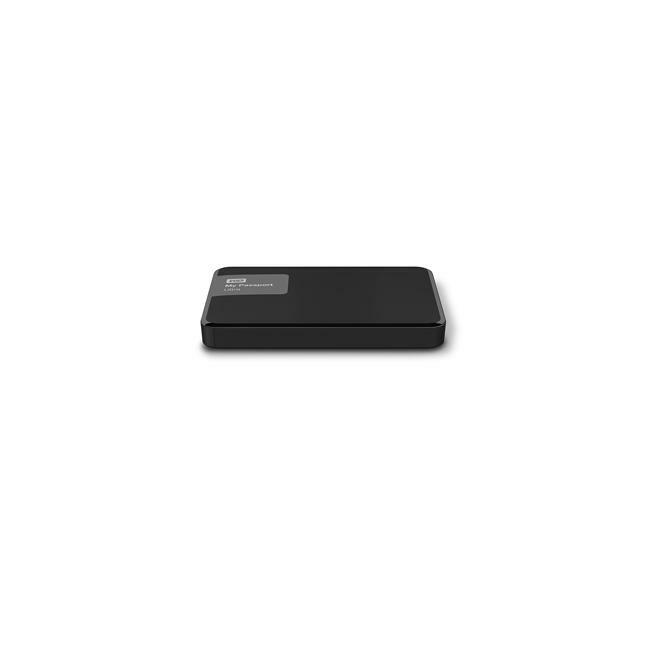 A sleek and powerful device that represents seven generations of innovation and reliability, it’s the portable hard drive choice of millions of people worldwide. With 4TB of storage, you can take all your photos, videos and music with you wherever you go. Set a schedule to automatically back up all the files on your system or only specific folders and files. You're in control. SLEEK STYLE. RELIABLE STORAGE. LET’S GO! Don’t let the vibrant colors fool you… this is a hardworking portable storage device. The My Passport Ultra drive reliably stores your photos, videos, and music with password activated hardware encryption, automatic backup to the device, and cloud backup with your Dropbox™ 1 cloud account. My Passport Ultra drives complement today's color trends. Select from Classic Black, Brilliant White, Noble Blue and Wild Berry. Accessorize your My Passport Ultra drive to match your personal style with soft carrying cases and the newest splash of color — WD Grip Pack. - 1. A Dropbox account is required for cloud backup. Cloud services may be changed, terminated or interrupted at any time and may vary by country.